It is with great sadness that we announce the temporary closure of our Crystal River location. March 23rd, 2019 we experienced a structural fire in our kitchen. Thankfully no one was hurt and everyone was evacuated safely. We have set up a Go Fund Me page for the employees, any donations are very much appreciated. 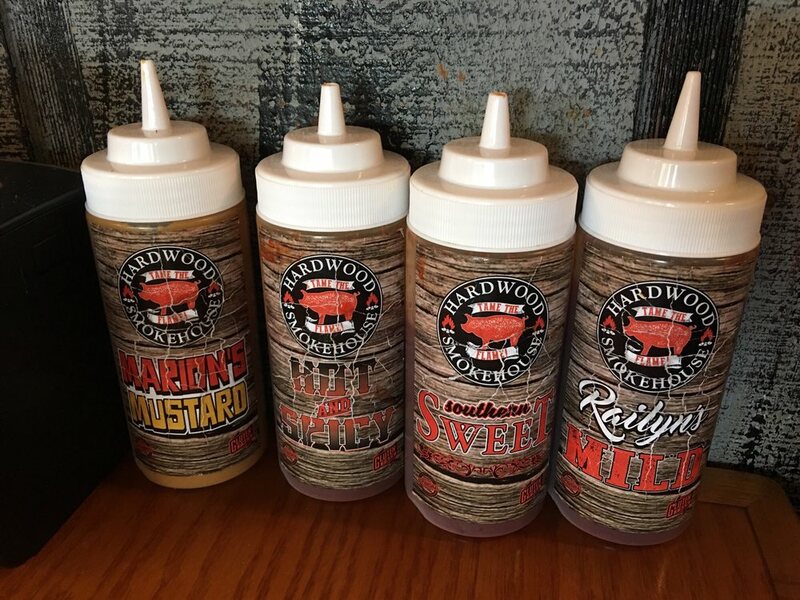 Hardwood Smokehouse is a locally owned & family operated BBQ restaurant, and it's the place to go when you’re craving the true flavor of slow smoked Competition-Style BBQ. 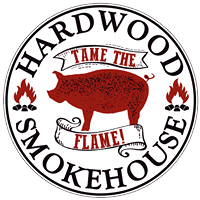 Here at Hardwood Smokehouse, all of our meats are individually trimmed and hand rubbed with our custom blended spices, then smoked low and slow for many hours to ensure that deep-down smokey flavor. 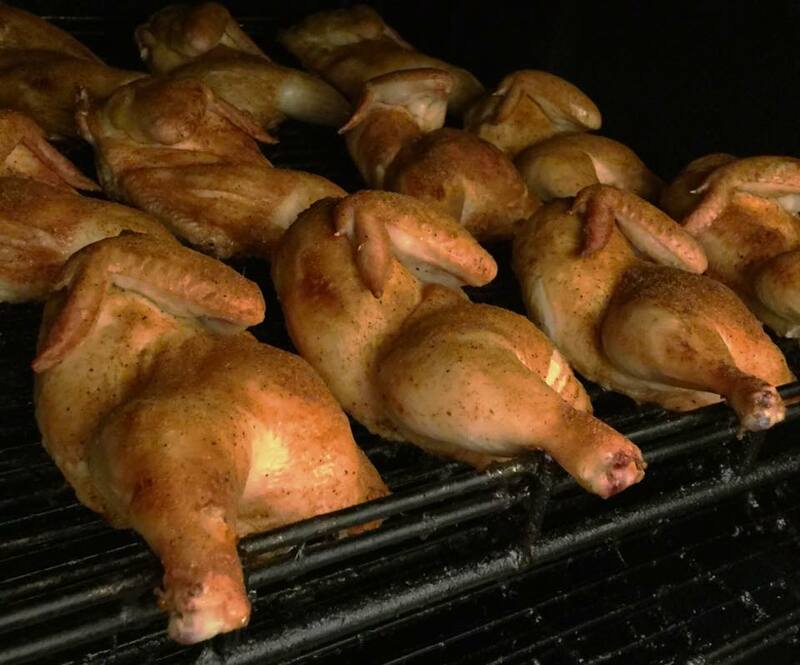 Ribs, pork, brisket, chicken and turkey are just some of the tasty and tender meats served straight out of our smoker. We leave the choice of sauce (if any) up to you. Our mission is to serve you the best BBQ in town! "Stopped here based off of the reviews and we are so glad we did!!!!! AMAZING RIBS!!!! We both got the half rack of baby back ribs and they don't lie - they fall off the bone! Great flavor and 4 choices of sauces. Delicious! The green beans and mac n cheese were also very good. The cornbread pancake was a very tasty addition! Love this place! Wish it was close to where I live and I would live in this restaurant! "This is my second trip here. We live in Owensboro, Ky that is known for its pit barbecue, so it's hard to find good barbecue for us in the south, but this place fits the bill. I brought my granddaughters the first time and they loved it too, that was 6 months ago and they still ask if I will bring them back. We will definitely come back again when we are in this area." 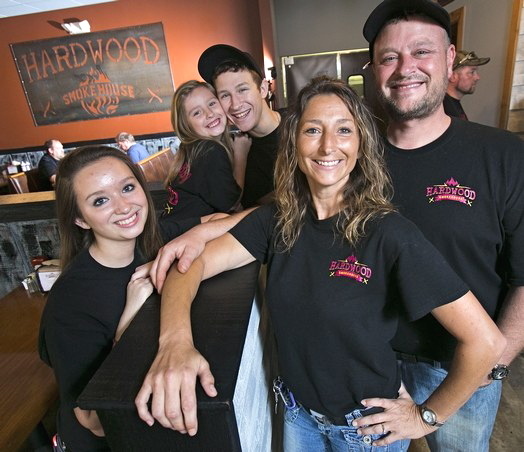 "Hardwood Smokehouse is always tops in food and service. Three of us ate there the day after Christmas, I had a Steak burger, wife had the Redneck Taco and my son had the Pulled Pork. All meals were delicious! The service was great as usual. We place our order, got the drinks and in a short time, our dinners were brought to our table. The food was hot and plentiful. A very pleasant dining experience!"